Let's Connect is a three-level course for upper primary schools. It presents language through humour and fun. The course covers all of the topic areas, grammar and language skills recommended by the Ministry of Education in the New Framework Curriculum. 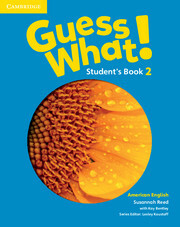 The Student's Book teaches real communication through everyday dialogues. It develops speaking, listening, reading and writing skills through high-interest topics. Theme Projects encourage students to find out more about the world and Get It Right! sections help Polish learners to overcome common difficulties.